Located in the West Midlands, Worcester is a cathedral city and the county town of Worcestershire. The city has a population of over 100,000 and a range of property to suit all manner of styles and budgets. At My Home Move Conveyancing we offer a specialist, fixed fee conveyancing service, and have been developing our knowledge and expertise of the local market in Worcester since 2002. When buying or selling property in Worcester you will require the services of a lawyer to carry out the legal work on your behalf. 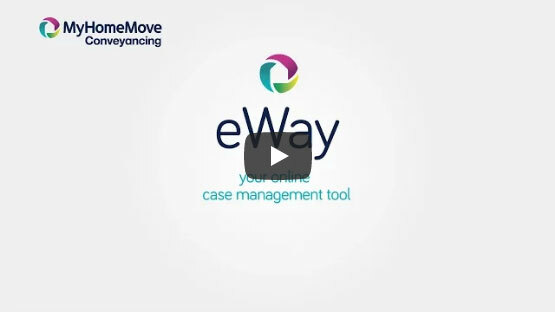 Take advantage of My Home Move Conveyancing’ award winning customer service, innovative use of technology and intimate knowledge of the local market, and let us act as your Worcester conveyancers. Our conveyancing service is fixed fee, meaning you’ll know exactly how much you’re going to pay from the outset. What’s more, if you don’t end up moving, you won’t have to pay us anything in legal fees. We assign each of our clients a dedicated conveyancer who will oversee your case from start to finish, providing you with a consistent point of contact along with regular updates on your progress. At My Home Move Conveyancing we are proud to supply our conveyancing services in Worcester to customers across the local vicinity, from central areas to properties with close proximity to the cathedral and Shrub Hill station. The average house price in Worcestershire is £178,748, while in Worcester itself during the past 12 months the overall average sale price was £207,338. Semi-detached properties were involved in most sales, going for an average of £196,192, while detached and terraced properties also sold well and fetched £288,097 and £172,802 respectively. Flats sold for an average of £134,660. Worcester has a long history that encompasses all manner of quirks including Roman rule, an importance during medieval times as a manufacturer of cloth, and prominence in the English Civil War. With the River Severn passing to the west of the city centre, Worcester is surrounded by lovely countryside, which includes the Malvern Hills. There are plenty of modern amenities to complement this natural beauty, which include a good number of new build properties that provide alternatives to Victorian terraces and suburban detached homes. There are a number of excellent schools in the area for families with children to take a look at, with primary options including Grimley and Holt CofE, Powick CofE and Northwick Manor Primary. Hanley Castle High, the Chantry School, Nunnery Wood High and New College Worcester on Whittington Road are among the secondary choices, while the University of Worcester provides higher education. With a central location within England and Wales, Worcester is well connected when it comes to transport. The city has two rail stations, Foregate Street and Shrub Hill, which offer plenty of services to cities such as Birmingham, which can be reached in under 50 minutes. The M5 motorway passes to the east of town, offering easy access to Birmingham and the M6 to the north, and Bristol, Exeter and South Wales to the south. All properties in Worcester will fall within one of the following council tax bands.